The Iron 3 Light Candle Holder manufactured by us is specially designed and handcrafted from premium quality raw materials. 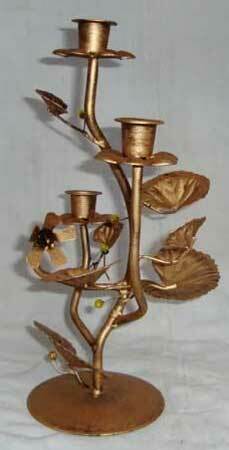 This Iron 3 Light Candle Holder is widely used as a home dÃ©cor item. Our clients can avail them with our designer range of Iron 3 Light Candle Holder in varied sizes and colors, as per their need at competitive prices.